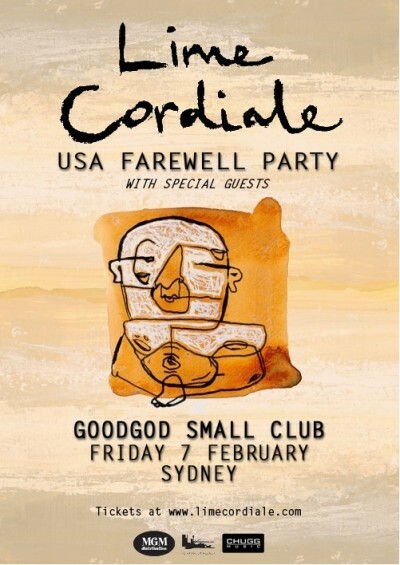 Local legends Lime Cordiale’s latest EP Falling Up The Stairs is set to be released in North America in February, and they’re touring to the USA to celebrate! With performances already lined-up at SXSW Music Festival in Austin, Texas, the band has decided to throw a farewell party at Goodgod on February 7 before they leave. Fronted by brothers Oli and Louis Leimbach, Lime Cordiale’s latest EP showcases their uniquely Australian sound, featuring quirky lyrics, pop hooks and big brass licks. Recorded over four months with Sydney producer Daniel Denholm (Washington, The Whitlams, Billy Thorpe, Midnight Oil), the EP has already received been applauded by listeners around the globe since its release. The last twelve months have seen Lime Cordiale perform throughout Australia, including a sold-out headline show at The Standard (600 cap) in Sydney, well received sets at Australia’s biggest music conference BIGSOUND, Homebake, Peats Ridge and Deni Blues festivals, and gigs alongside the likes of The Rubens, The Specials (UK), Ball Park Music, Hey Geronimo, The Griswolds and as the main support on Cosmo Jarvis’ (UK) Australian tour in 2013.